This past weekend was busy! Jeff’s birthday, Jason’s graduation from Virginia Tech, and the 28th anniversary for Jan and I. We took Friday off work, and headed to Blacksburg. We were glad we had a place to stay. It’s tough to get a hotel room in Blacksburg or anywhere within 50 miles for graduation weekend; reservations have to be made a year in advance. VT is a big university (4,000 undergrads, and about 1,000 grad students) and not a big town. With all the family who want to see, it’s a challenge to get a spot. We lucked out and through a tip from my friends on the flyfishing listserve, got on the waiting list and then got rooms at the Inn at Riverbend, a B&B about 20 miles west of town in Pearisburg, VA. What a nice place. It’s every bit as nice as it looks on their website. The innkeepers (Lynn & Linda, with help from the manager Eric) are very hospitable, the food was great, and the Inn dogs are friendly! I highly recommend it if you are looking for a place to stay in that area. Here’s a picture I took (with my blackberry, so sorry for the quality) from the deck on the first afternoon when we arrived. First event was the Computer Science departmental graduation at 4PM on Friday, followed by the University ceremony in Lane Stadium at 7:30PM. Saturday morning was the College of Engineering graduation, where they read all 1,000 names while the graduates traipsed across the stage. This entry was posted in Family, Virginia Tech on May 19, 2009 by joel. So, per yesterday’s post, I made a day trip to Blacksburg today. Left the house at about 6:45AM, after being fortified with a couple of grande lattes, and drove the 200 miles to the land of the Hokies. Stopped in Radford for just a minute to pick up my cheap old folding chair from Rob Tucker’s house (thanks, Rob!) which had been left behind at Bassclave ’07, and got to Jason’s apartment around 10AM. Unloaded, and he showed me the new TV that he and his two roommates had bought. Seems that they found someone in Roanoke (via Craiglist) who had a 2002 vintage rear projection 56″ TV, who was replacing it with an LCD or plasma. The guys paid $200 for the privilege of hauling away this 300 pound beast! Well, it will be great for sports in a guy’s apartment. Left Jason’s place around 10:30. Arrived at Little Stony Creek around 11AM, and quickly hiked up to the first footbridge. Lots of folks around, as this was a holiday weekend. This was my first trip to Little Stony, and Rob said I might see 100-200 hikers. Well, that was on the low side! However, I only saw one other fisherman, and he was hiking in while I was headed out in the afternoon. Folks were constantly going up and down the trails on either side of the creek, but that didn’t bother me! I was fishing my Winston 8′ 3wt. I hadn’t fished this rod in a while; I should fish it more often. What a fantastic rod. Tied on a Tweeter Caddis, and hit the water. LDR’d one, and missed a couple. Saw several trout come up and inspect the fly and refuse it, so I decided that the 5x tippet was too big in the gin-clear water. Rummaged in my bag and pulled out some 7x, and that did the trick. Caught a number of trout like this one, in all the places where a trout should be. Mostly rainbows, some a bit bigger than this one, some smaller. A couple of brookies. I ended up using a Mr. Rapidan most of the time, size 16 (parachute tie). Worked well. The tippet seemed to be more important than the fly (as long as the fly was a 16 or 18). I did see some *big* stonefly nymphs (probably a size 6 or 8 ) and if I’d been spending more time, I would have plumbed the depths of some of the big pools with a imitation. 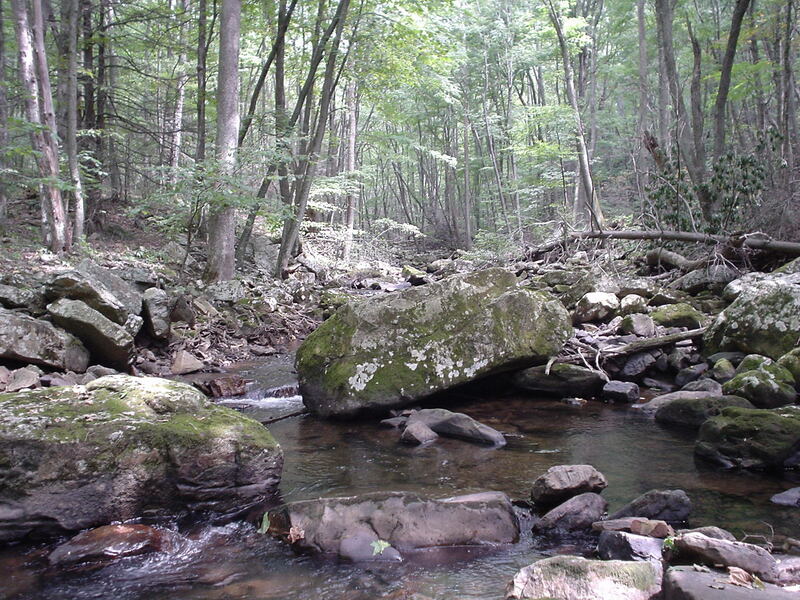 This is a very pretty place, a typical Jefferson Forest freestone. Normally, I’m somewhat circumspect about mentioning stream names, but this is a well-known place, and it is covered by special regulations. You can bet I’ll be back here. I fished until about 3:30PM, and then headed back to Blacksburg to grab a shower at Jason’s place and take him out to supper. Poor guy had been working all day on an assignment for a Numerical Methods class. I know that one sure challenged me when I did my CS degree. Took Jason out for supper at Outback, and then hit the road for home. A busy day, but a heckuva a lot of fun. 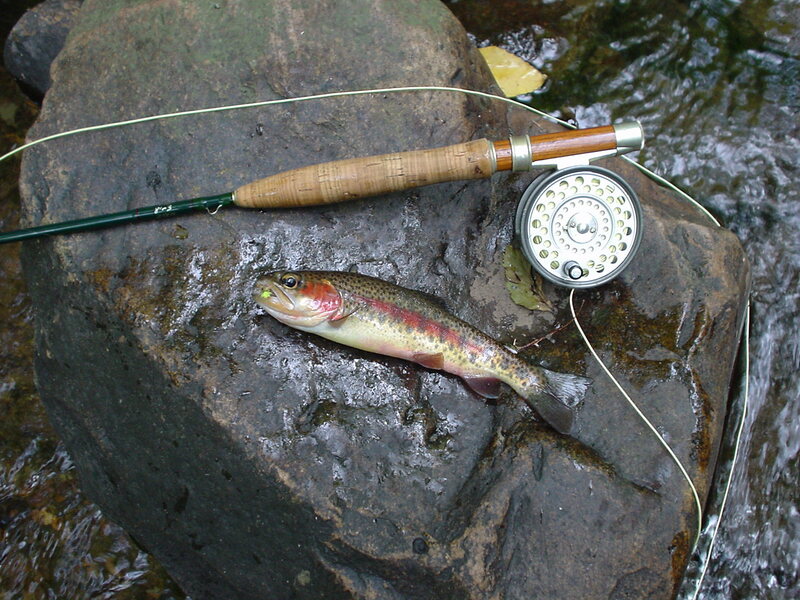 This entry was posted in Family, Flyfishing, Virginia Tech on September 2, 2007 by joel. 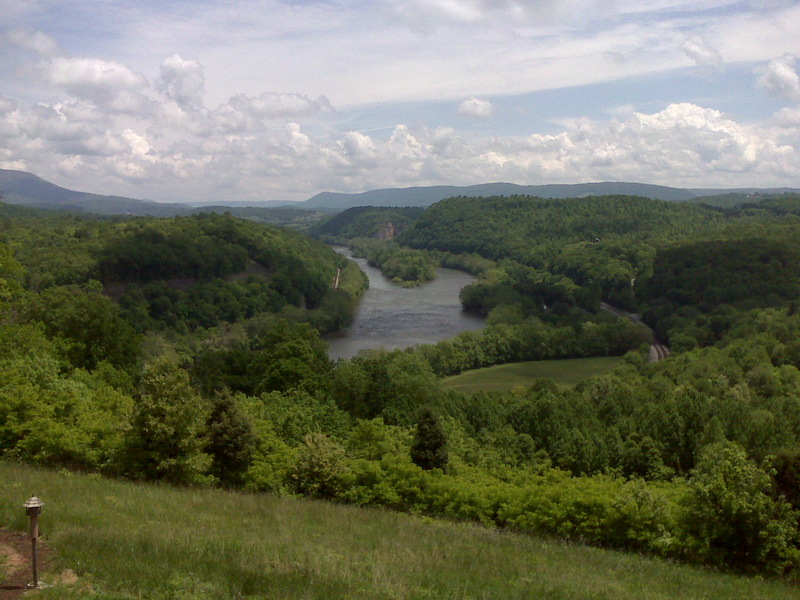 This entry was posted in Family, Flyfishing, Virginia Tech on September 1, 2007 by joel. All work and no play is no fun! How ’bout those Tarheels today? Beat the “Whuffpack” of NCSU, 31-24. Plus, now that my son is attending Virginia Tech, I’m a Hokie fan, too…the Hokies plastered GA Tech, 51-7. This entry was posted in Miscellaneous, Virginia Tech on September 24, 2005 by joel.